What Does Zoning Have to Do with Local Food Systems? 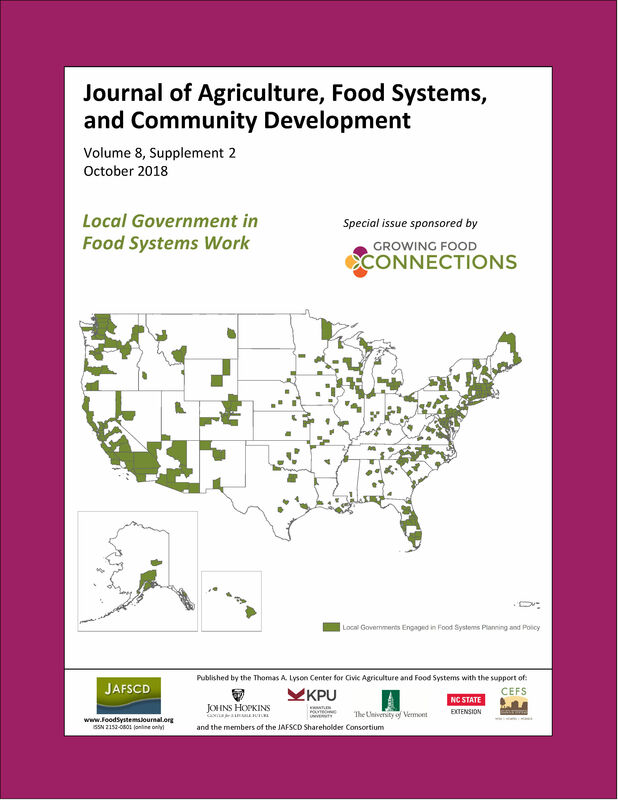 This paper investigates the extent to which local governments use zoning ordinances to support local food systems. An audit tool was created that comprised five food system elements and a total of 24 land use items that could be included in a zon­ing ordinance. Using this tool, the author examined 104 zoning ordinances in Wisconsin to determine if they include any of these 24 items. Zoning ordi­nances from rural and urban areas and from com­munities that had evidence of local food systems and those that did not were selected for this study. The findings indicate that there is wide variation in how zoning ordinances address local food systems. There are also significant differences between rural and urban communities and between communities with a focus on local food systems and those with­out. Communities have an opportunity to include more land use items that support local food systems within their zoning ordinances than currently exist.